In December 2017, I initiated a fundraiser to raise money to buy Christmas bags of candies for the children in Chontal on Christmas Eve. We raised more money than anticipated, and the extra money was used to become seed money for a new social outreach ministry for those in need in the parish to which Chontal belongs. Below are the updates included along the way, also included at the link here. Many thanks to everyone who offered the gifts - I hope this new project grows legs and continues! I've finally had some space with good internet to post the final update on the fundraiser. it went very well, and there's only a bit more to add since the last update after Christmas. We donated another $12.50 to the cost for the hot chocolate and bread after Christmas Mass. The plan was, starting with Chontal, to join together certain people of faith who are interested in and/or have experience with spiritual and/or social outreach, and form a group ministry. Three people who have experience are willing to form and be a part of it. What I particularly like is that the priest is interested in coordinating both the spiritual and material: one of the woman is very good at visiting and praying with seniors (she has taken up the Divine Mercy devotion full-time), I like her approach to it; while another young woman has a great deal of social experience with seniors; I accompanied her into the mountains visiting seniors a few years ago, she is excellent with the social dimension. The goal is to be a parish program (Chontal is one of 13 communities in the parish), including people from other communities. At first, the focus is to organize and take a first step with the goods that were donated during the Christmas Mass... There is another dimension that is helpful, in that the neighboring parish, Garcia Moreno, has a very developed program that is similar. The reason is that, until 6 years ago, Chontal's parish, Los Manduriacus, was a part of Garcia Moreno. So its structures are just beginning, but it has a form of a model in Garcia Moreno. So, there is the backing from the priest and me, the desire and capability of several people, an example in the neighboring parish, and some financing. It has potential. Have a wonderful year, stay in touch and drop a note anytime, and check out the website where you can sign up at any time for automatic updates. We raised $325, after fees. Thanks for so much generosity! 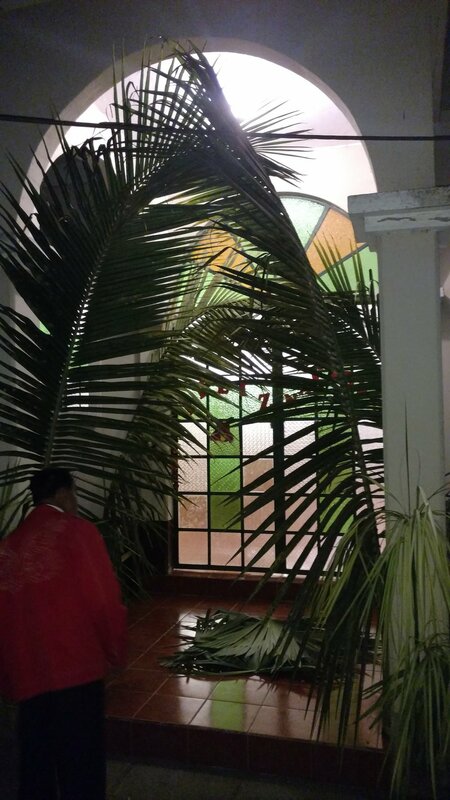 We handed out over half on Christmas Eve at the Mass, as it was delayed for over an hour (Mass began at 11pm, after the evening began at 6:30pm with the novena). The next day, Christmas Day, which is a low-key day here unlike in the States, I went and delivered more to others in the village, including some to the folks who had spent a lot of volunteer time during advent and coming up to Christmas. There are still a lot more to give away, and so the plan is to bring them to some of the kids up higher in the mountain who would not have received anything on Christmas - Chontal Alto and Magdalena Alto. One of the families singing Christmas carols in the presentation before Mass. Each family who sang got a bag of goodies thanks to your donations. We had a packed house over 100 people! 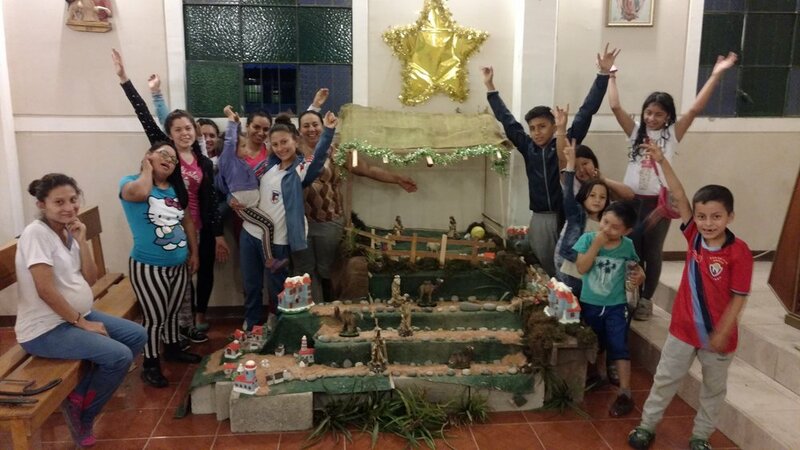 The youth were working with Veronica, a talented mother who does a lot with arts and crafts, to prepare decorations for the church. It turned out great! The balance of $100 is currently being worked on. Part of it covered bread and hot chocolate for after the Mass. Christmas bread and hot chocolate is traditionally served after Christmas Mass at the church in Ecuador. Part of it was funded by collections taken each night in the novena, but the accounting isn't done. What remains afterwards will be contributed to support the new social works project that the priest is initiating. In a conversation with Veronica, who previously worked for the local government in service to remote seniors in the parish area, we decided to start a donation effort for non-perishable foods and personal care items for seniors. Some people brought their donations for the Christmas Mass. My idea was to take whatever money we have leftover and let it be "seed money" for that project, to get it going. Money is needed to travel and reach seniors, to start fundraisers, etc. I will let you know how that accounting works out financially hopefully before I leave Chontal after the New Year. As you can see, I try to get good value from every donation you make, so that as many people as possible get a sense of being valued. I hope you had a Merry Christmas, and thanks for being a part of making this Christmas - as some have told me afterwards - one of the best that Chontal has ever had! 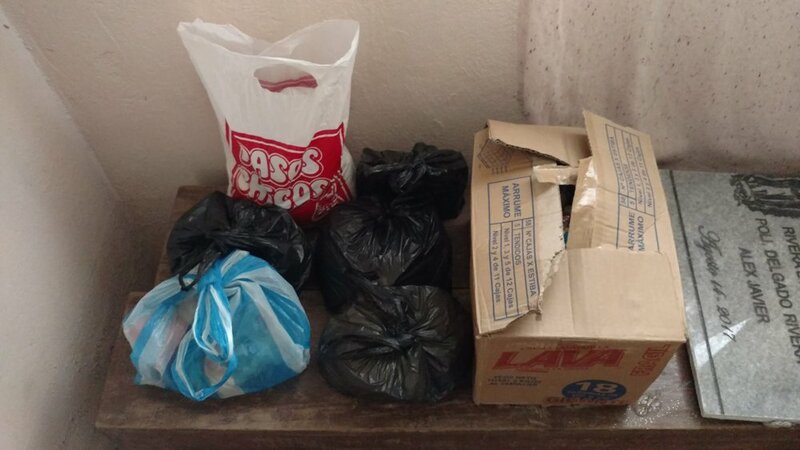 Kids and adults alike in poorer rural places here like Chontal typically get one of these bags of candies & cookies - "Navidades" - from local institutions, like the public school or the local governments. It is a Christmas tradition throughout the country, that has lasted for many years. And for many families, those are the only gifts that they will pass hands for Christmas. 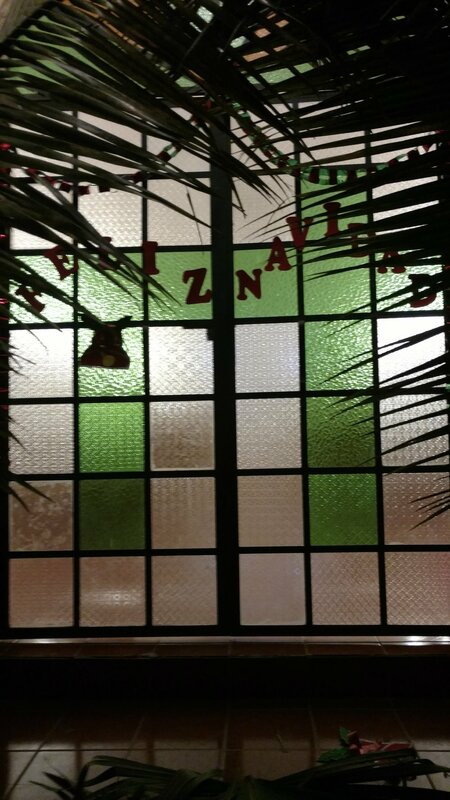 The church here rarely has resources to provide Navidades, and this year especially. 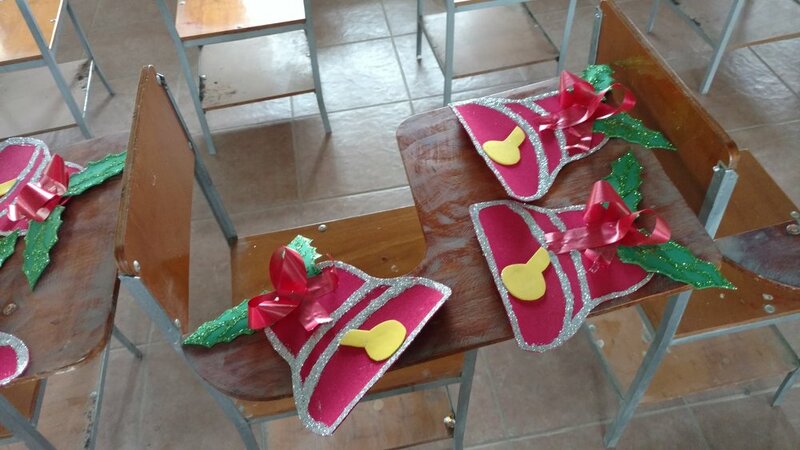 I'm looking for people who want to be a part of providing these simple, inexpensive gifts to the local people at the end of the Christmas celebrations on Christmas Eve. $200 should cover about 150 Navidades. (If expenses come in under $200, I'll use the extra money for other aspects of the Christmas celebrations.) A few of us will drive an hour and a half (each way!) to go and buy the candies, cookies, and bags. After we get back, a group of us will take about 3 or 4 hours to put the bags together to be ready to be handed out on Christmas Eve. It's something I did in collaboration last year in San Isidro, on the coast. I'd love to have you involved, and thank you for considering being a "star" and shining a light for all us here!